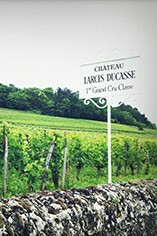 The Wine Advocate - The 2008 Larcis Ducasse (14.2% natural alcohol) is composed of 78% Merlot and 22% Cabernet Franc. Although closed at present and less prodigious than I predicted two years ago, it reveals an opaque purple color, plenty of sweet fruitcake, black currant, kirsch, forest floor and earthy characteristics, a full-bodied mouthfeel, sweet tannins and a long finish. It just does not appear to have the extra gear or two I tasted from barrel. Nevertheless, it is an outstanding wine and if it is priced fairly, it should be a definite purchase to enjoy over the next 20+ years. Parker - The 2008 Larcis Ducasse (14.2% natural alcohol) is composed of 78% Merlot and 22% Cabernet Franc. Although closed at present and less prodigious than I predicted two years ago, it reveals an opaque purple color, plenty of sweet fruitcake, black currant, kirsch, forest floor and earthy characteristics, a full-bodied mouthfeel, sweet tannins and a long finish. It just does not appear to have the extra gear or two I tasted from barrel. Nevertheless, it is an outstanding wine and if it is priced fairly, it should be a definite purchase to enjoy over the next 20+ years. 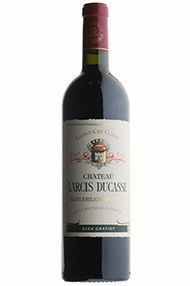 For decades to come, the 2008 Larcis Ducasse will undoubtedly be compared with this estate’s immortal 2005. I did not expect such a blockbuster effort from this St.-Emilion property, but low yields of 25 hectoliters per hectare and a harvest that lasted from October 9th to October 20th produced a wine with the highest alcohol level, 14.2%, ever achieved. Consultants Nicolas Thienpont and Stephane Derenoncourt seemed to have coaxed just about everything one could from this extraordinary terroir. The final blend of 78% Merlot and 22% Cabernet Franc has resulted in an opaque purple-colored wine exhibiting a sweet, almost intoxicating perfume of blue, red, and black fruits intermixed with notions of spring flowers, forest floor, and damp earth. Full-bodied and opulent with an outrageously pure, textured mouthfeel, sweet tannin, and slightly more acidity than the monster 2005, this is a tour de force as well as one of the most compelling wines of the vintage. Given the global economic crisis, I suspect the price should be one-third to one-half of the 2005. In short, that means readers should buy, buy, buy. 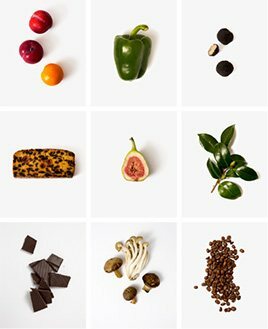 The 2008 should be approachable after bottling (because of the sweetness of the tannins as well as the extraordinary ripe fruit), and evolve for 20-30 years.